The Las Vegas variety show has characteristically been known as a combination of singing, dance numbers and random talent acts, all stirred into a veritable stew of entertainment. 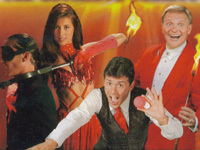 David Saxe, producer of 'V' – The Ultimate Variety Show in Desert Passage at the Aladdin, took the age-old and sometimes neglected idea of the specialty act and created 'V'. With such acts as the magicians Jason Byrne and Nathan Burton, 'Two Funny Guys' Mario and Daniel, Doug De Forest who plays the drums suspended in the air, or the Aerial Adage, providing high-flying entertainment, it's all here at 'V'. These are the types of acts you'd expect to find at the quintessential variety show. But 'V' offers more. Enter Joe Trammel. Trammel performs a plethora of musical acts. 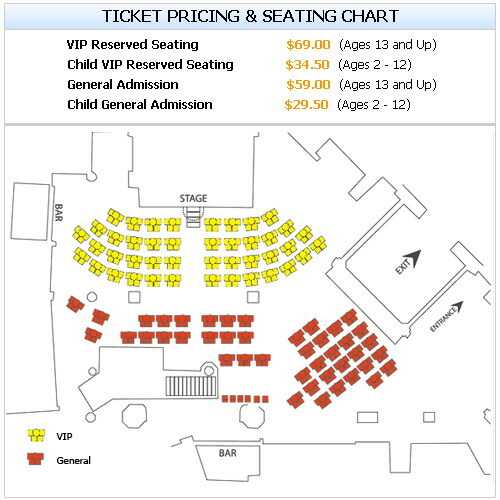 Audience members are often seen standing in the aisles, playing along. Joe Trammel lip-synchs, dresses up in costume, and even pokes fun at such celebrities as Richard Simmons, Ricky Martin and American Idol reject turned superstar, William Hung. There is more to 'V' than meets the eye. 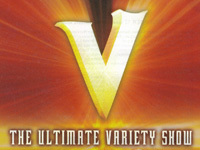 With so many unique acts, 'V' The Ultimate Variety Show will appeal to audiences of all ages and is a Las Vegas experience that should not be missed.